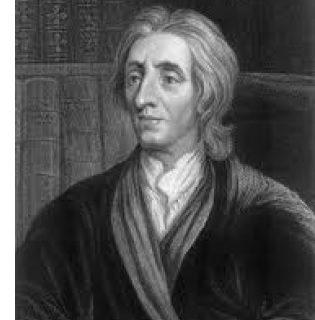 John Locke (1632-1704) - Probably the foremost political philosopher in history, he came at the forefront of the Enlightenment and is often referred to as the "Father of Classical Liberalism". And by that, he championed the concept of limiting the power of government in favor of individual freedom, which was somewhat novel at a time when power was vested primarily within a single person, that being the king. Remember that England was one of the first countries in Medieval times to place any kind of limits on the authority of the monarch (see Magna Carta); but Locke took it even further. He believed society functioned best when restrictions were placed on the entire institution of government, thus granting greater power to individual citizens. His ideas would have a profound impact on many Enlightened thinkers who followed, including several of the founders of the United States. It is said that, even though written 72 years after his death, the United States Declaration of Independence has his fingerprints are all over it. In 1690 he published his major work, Two Treatises of Government. He did so anonymously for fear of repercussions from the king. One of the primary themes of the treatise deals with the natural rights of man. That is, rights entitled to people beyond what the king (or government) can bestow (sound familiar? "We hold these truths to be self-evident...") Just as there was a progression in the Scientific Revolution (one scientist building upon the work of a predecessor), so also was there an evolution in philosophical thought. Descartes, the "Father of Modern Philosophy", greatly influenced John Locke (the "Father of Classical Liberalism"); who in turn, had an impact on the likes of Rousseau and Voltaire. Locke also studied the work of fellow countryman, Francis Bacon (who does not appear on this chart), and was probably influenced by his own father, who fought in the English Civil War on the side of the Parliamentarians. Speaking of the Scientific Revolution, as contemporaries and two of the intellectual giants of English society, John Locke and Isaac Newton were colleagues (not necessarily close friends) and were known to have engaged in several conversations (we can only imagine some of the subjects they discussed).